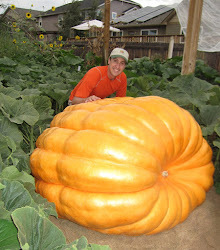 Giant Pumpkin Growing Tips From The Pumpkin Man: Order Giant Pumpkin Seeds from The Pumpkin Man! Order Giant Pumpkin Seeds from The Pumpkin Man! Welcome to the redesigned denverpumpkins.com. Tell me what you think of the new design!